It has been just over twelve months since Finnish communications company, Nokia, joined forces with the might of Microsoft in an attempt to boost their falling worldwide mobile phone sales by manufacturing devices featuring the Windows Phone 7 operating system. The move represented a somewhat bumpy journey into the unknown for Nokia but was seen as an attempt to try and break the stranglehold that Android and iOS powered devices have over the industry. The Symbian OS which previously ran on Nokia devices played a huge part in making sure that Nokia were once the world’s leading smartphone vendor, a title they are very unlikely to recapture anytime soon thanks to the likes of Apple and Samsung dominating smartphone sales. The Symbian OS was predicted to be phased out entirely by mid 2012 and replaced solely with Nokia smartphones running the Microsoft Windows Phone OS in an attempt to compete in the "war of the ecosystems" as Nokia boss Stephen Elop put it at that time. That partnership was announced only twelve months ago, but with the company launching their range of Lumia devices being launched in 2011. Strategy Analytics are reporting that they (Nokia) have overtook HTC and a number of others to become the world’s largest vendor of smartphones powered by Windows Phone. The number of Windows Phone powered smartphones shipped globally reached the 2.7 million mark in Q4 of 2011 with Nokia accounting for thirty three percent of that with 0.9 million units shipped. The high percentage is largely due to the fact that the Lumia range of phones gained in traction and popularity around the world. 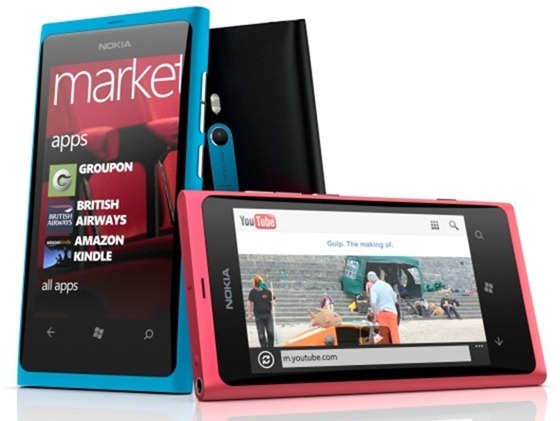 Nokia’s Microsoft smartphone growth during the quarter was achieved partly by capturing market share from HTC. This is a challenging development for HTC because it is also losing ground to Samsung in the Android segment. HTC is now at risk of being caught in a pincer movement between two giants of Samsung in Android and Nokia in Microsoft, and HTC must move with urgency to address the problem. The news and statistics are obviously a good sign for the struggling Finnish company. After enjoying many years as the golden boys of mobile telephone manufacturing, they have almost been left behind by the huge advances in the industry thanks largely to the likes of Google and Apple who have the most dominant operating systems out there in the market. Nokia still have a long road ahead of them, and with Microsoft’s smartphone shipments being tiny in comparison to rivals, it seems that the road will be anything but smooth, nevertheless it represents a move in the right direction for Nokia.